This morning, as I was picking up an after work snack, something caught my eye at the checkout. There was a display filled with Awake Caffeinated Chocolate bites, and I knew I had to try them. People love chocolate and people love caffeine, so why not combine the two? 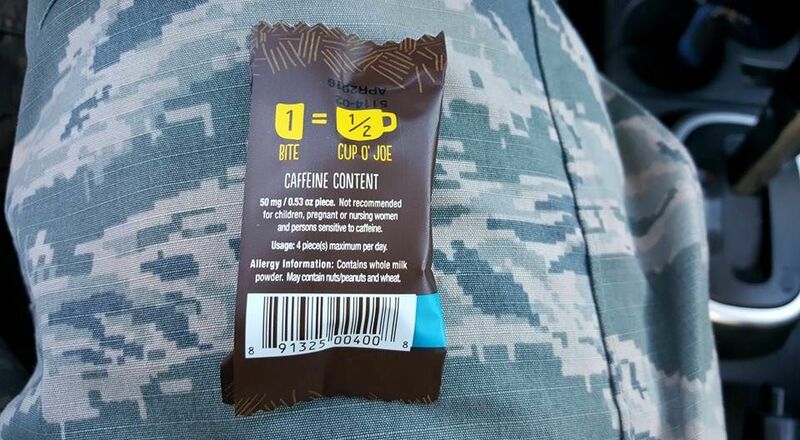 Each bite contains 50mg of caffeine, or roughly half a cup of coffee’s worth (according to the packaging). They were about $0.63 each, so I grabbed two. The chocolate bites tasted smooth and very much like any other chocolate bar (nothing strange to them at all). I feel like they’d make a great companion for a cup of coffee if you want a little extra kick delivered via delicious chocolate. 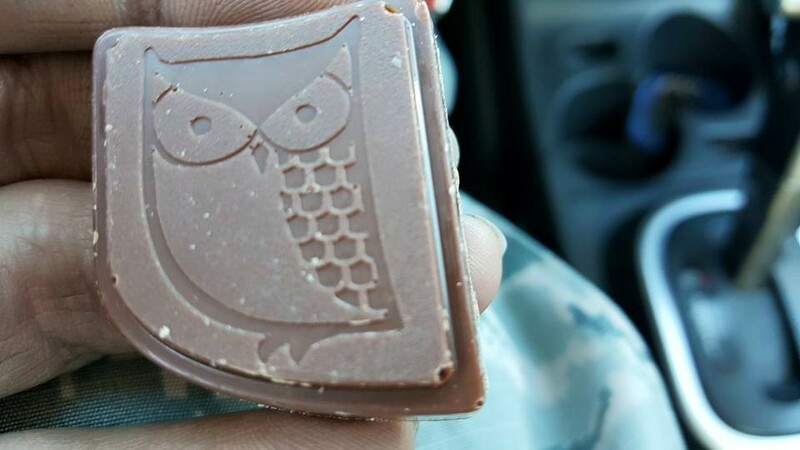 If you happen to see these bites (they also come in bars) at a checkout counter go ahead and give them a try, they’re quite enjoyable! 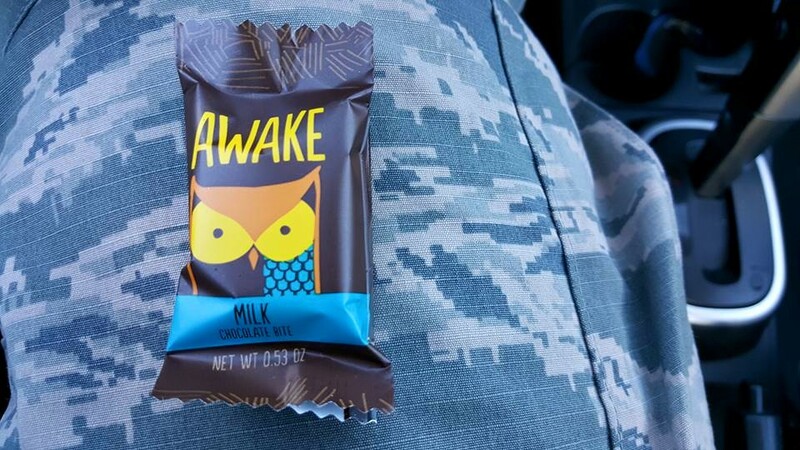 This entry was posted in Food and tagged Awake Caffeinated Chocolate, Awake Caffeinated Chocolate bites, caffeine, Chocolate, Coffee, food, snacks. Bookmark the permalink.